We are all at that point in the winter season where spring cleaning is on the mind. It’s out with the old, in with the new and ENOUGH hibernation....let’s get outside and ENJOY the sunshine! Spring cleaning is mostly associated with the home interior, but let’s not forget about the outside living area. 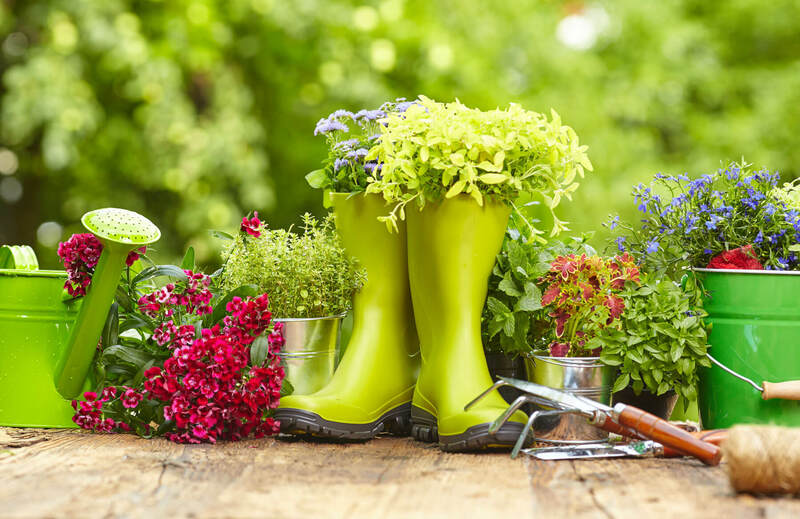 Does your garden need a proper sprucing up after a long winter? Here are 4 helpful ideas for springtime inspiration! Winter presents an excellent opportunity to make a list of what you have, what you want and what needs to be repaired or replaced around the garden. If you shop before spring hits, you’re bound to find lower prices and great deals. Patio furniture companies know that consumers are more apt to buy during the warmer months once they get outside, so prices tend to be higher. When spring rolls around and the sun begins to spread much anticipated warmth over the land, we all want to tilt our faces to the heavens and soak in that Vitamin D. As the heat gets more intense though, sun protection is a must. Design your patio with shade in mind, going above and beyond the traditional cumbersome umbrella. Add a pergola or string up a Sun Sail to filter sunlight and add contemporary style to your personal summertime oasis. A fire pit is a great pre-spring backyard installation that you and guests can begin enjoying immediately as winter makes it way out the door. With a propane gas powered fire pit you’ll get the benefits of a convenient set up, little-to-no clean up, sustainable burning and most of all- sheer elegance. Fire glass makes for a dazzling display; utilizing tempered glass pieces to serve as the ignition base for dancing flames. When those warm spring days turn into chilly evenings, there’s no need to chop wood. Flip the gas switch, break out the marshmallows and let the good times roll! The coming of spring also means it’s time to layer on new soil, mulch and plants. 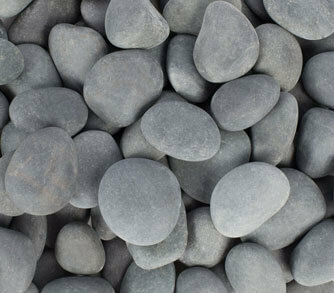 Stones and pebbles are popular garden products because they’re durable, easy to install and come in a myriad of shapes and sizes. They can be used to cover exposed tree roots, can be added to flower beds and pave drains, walkways and gardens. If your pavers are covered in moss or look a bit weathered, there are plenty of all-natural methods to remove unsightly stains, such as pressure washing. After a long winter, you might even want to replace old pavers to freshen up the color and replace cracked or missing pieces. Get your garden groove on with more ideas from our Learning Center with professional tips and tricks to keep your garden looking fantastic year round!